Through our sister website Benjo Party we are able to offer retail and wholesale party supplies. Whether you need some Peppa Pig party supplies for your son or daughters party or you would like to order them in larger quantities we can supply you to. 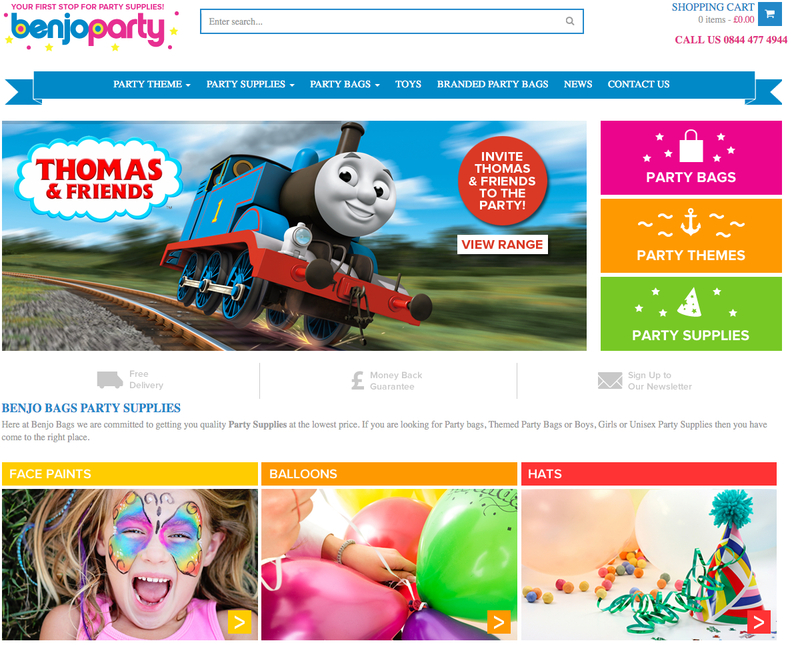 If you are looking for party supplies for a personal party then just shop as normal complete the checkout pages and your party supplies will be shipped to you in no time. If you are a company and you would like to set up a wholesale account, please click on this link, complete the form and once we have registered you can then order party supplies at trade discount for your company. We stock all the favourite licenced character party supplies, generic tableware, banners, balloons, face paint, you name it, we got it.